On May 6, 2014 we attended the Stanislaus County Board of Supervisors (BoS) meeting and witnessed a strange occurrence during the public comment portion. Modest’s former Mayor Carmen Sabatino had just finished making some interesting points regarding the D.A.’s office and investigators. In recent weeks he has been vocal in his objections regarding the DA.’s 25 wire taps and the ensuing 25,000 intercepts in 2012 and the expense involved. Most of his time this week was involving an interrogation in Turlock of a 13 year old girl and alleged misconduct by two D.A. investigators Kurt Bunch and Steve Jacobs. these can be heard at 9:30 seconds into the meeting. Sixteen minutes into the meeting Birgit Fladager interrupts the meeting by rushing the podium out of turn to attack Carmen Sabatino and her opponent Frank Carson. Mayor Sabatino’s earlier allegations and Birgit Fladager’s out of control behavior involving the wire taps and her investigators intrigued us. Recently we made three Public Record Requests from District Attorney Birgit Fladager. We requested the number of requests by year 2011, 2012, 2013. We requested any documents regarding which agencies made the wire tap requests. And finally we requested documents which would indicate if any of her investigators were working for the agencies when the requests were made. We also made it very clear we weren’t interested interfering with any investigations just who made the requests. Here is the official response from the D.A.’s office. in each case sealed by order of the judge. homicide case that has resulted in one arrest. Now I don’t know about you, but for the District Attorney to claim she has not ONE single piece of paper tracking over 25 wire tape requests she made in 2012 alone, we find to be not only extremely questionable, but likely disingenuous in the context of her upcoming reelection bid, especially if you take into consideration how few wire tape requests (3 – 5) other counties have made. According to her she doesn’t have the ability to show how many requests were made in any single year. Is this any way to run an office? Or is it just another way to hide from the public excesses by government agencies and/or potentially corrupt individuals with the help of her office? I can tell you with certainty why Modesto is #1 in auto thefts. On April 29th, 2014, the night clerk at a hotel in Modesto saw someone drive into the hotel parking lot, park their car and walk across the street to another hotel. Watching the cameras, she saw him walk back and forth from the other hotel to his parked car several times. She contacted the security guard and asked him to keep an eye on the car and the person. Some time later the security guard came and gave the night clerk a description of the man. She called the other hotel and gave them the description. They knew who it was and what room he was in. They were asked to contact the man and ask him to move his car off the first hotel’s property. They did that but he did not move the car. A few hours later our night clerk called back and asked the hotel to relay the message that if the car wasn’t removed, it would be towed. His response to that was “I don’t care about that car.” That made our night clerk suspicious, so she called MPD with the license plate number and they informed her that the car had been reported as stolen. They sent Officer Hoke to investigate. Officer Hoke spoke to both our security guard and our night clerk. He was concerned because there was no actual video of the man getting in and out of the car because it wasn’t in view of the camera. The security guard informed him that he had personally witnessed it and had provided a description of the man to both hotels. The officer returned to his car and after a while the security guard approached him and asked if he was going to do anything. Officer Hoke responded “Oh, man…it’s too much paperwork..you’re killing me, just let it go”. When the guard reported this to our night clerk, she called 911 to report a stolen car on our property. They told her they would send a squad out and she told them an officer was already here and refusing to do anything. That resulted in two more squad cars coming to the hotel. The officers then went (with Officer Hoke) across the street to the other hotel and returned with the man who had been in the car. They placed him in a squad car and they all left. We assumed he would be arrested for auto theft. As required by his company, the security guard has to include police case numbers and details whenever he has any interaction with law enforcement. He called MPD the day after the incident to get the case number. He was told there was no case. Even if the man had convinced the officers that he didn’t actually steal the car, he was still in possession of a stolen car. I thought being in possession of stolen property was a crime, but apparently not in Modesto! And even though there was no video of the man getting in and out of the car, why isn’t an eyewitness account (from a security guard who is employed by a licensed security company) enough to arrest someone for being in possession of stolen property? I have to wonder if there was “no case” because MPD wished to protect Officer Hoke, who failed to do his job. I was downtown at city hall today and saw signs posted on the walls that say “If you see something….tell someone.” The signs go on to say that if you see something suspicious you should report it to the police. Well, our night clerk and security guard certainly saw something, they reported it, and MPD failed to take any action. So the next time you see us being reported as #1 in auto theft…it’s no wonder why. Don’t you think the thieves know that if they get caught stealing a car (or being in possession of a stolen car), they know they won’t be arrested/prosecuted? If your car is stolen, please don’t bother MPD with it. They are too busy avoiding doing any paperwork! Perhaps the citizens of Modesto, California, should also check out and investigate most of the many, many years, of the Conservatorships, Trusts, Special Needs etc., in the Family Law / Probate Dept. and all through the District Attorney Birdit Fladager. We as family and many other families in these many years have filed complaints, concerning our loved ones and the Estates, being cleaned out, injustices happening and ongoing. There is a ” Web of Corruption ” and it filtered down, in the different departments, of the very persons, that are suppose to protect the elderly and to insure that all of the Constitutional / Conservatee’s Rights , are protected. Especially, the lives . This,,,, they do not do. If you are all interested in some of this, then go into the Case Index Files (www.stanct.org , the click into the case files , or put in the persons names ) and pull up all of the cases, concerning the Mother / daughter team of Conservators, Trustee’s , Guardians etc., named M. Terry Campbell #230 ( actually an invalid, cited 2- times and fined , since 10-31-2011 , through the Calif. Professional Fiduciary Board ) and Laurie Jean Jamison # 376 . They have cases together and separately and still many OPEN. You can believe us, when we say that , no matter what these 2 women do, including putting the property, accounts, over billing, triple billings, Estrinsic Fraud, Perjury , Embezzlment, Real Estate Fraud , Estrinsic Fraud etc. , allowing abuse and just plain ” committing perjury and lies to the courts “, they will always, be ruled for and the families are denied, even the rights to have a Telephonic Hearing, to tell the Judge the truth. We can assure you, that we can provide years of files cabinets, from many families to prove of these injustices, abuse and deaths in the control and hands of these women. For MANY YEARS and ” no one will try to stop the, from any Stanislaus Co. Fam. / Pro. Dept.! WHY ? Well, we know why now and it is not hard to figure out. It took many families, all over the country, that have been destoryed, lost loved ones and had their estates completely cleaned out, to ALL contact each other, put the stories, cases and the unmistakeable PATTERNS together, to know the names, the dept., and the corrupt practices. Perhpas, they do get away with it, as the M. Terry Campbell # 230, actually did work for the Stanislaus Co. Family Law Department and for over 20 – years . M. T. Campbell, has entered into the complaints on her, that she ” worked as a Probate Examiner, a Court Investigator and a Paralegal in these 20 to 30 years and for the Stan. Co. “. , before she retired, with the City Benefits, in 03 – 2003 . Meaning, that since her and her daughter and business partner, the Laurie Jean Jamison , are really only 2 of a FEW , Conservators , ETC, that must be ” licensed in the Stan. Co., and the surrounding area, they are the ones, to be ” Court Appointed, with the Court Investigators Managers approvals etc., for most cases. 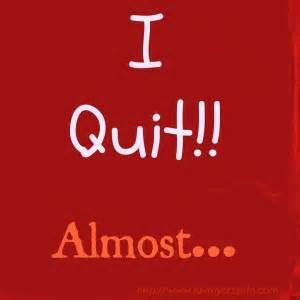 You see, the are all ex-working assoiciates and ” friends too even in the FB. sites “. Meaning, that it is like the ” good old boys club “, but here, it is ALL women. !! Believe us, we have checked out, even the clubs, organizations , etc., that they all are in too. There is a ” Huge Pattern of Corruption ” and we will bring the truth out, as we are trying to save the dying vitims in their care. Also, what we have above, is perhaps a ” Conflict of Interest ” and all personnel, all city officials etc., do ignore all complaints and for MANY, YEARS ! WE, again, can and will prove, of the allegations above and concerning many, many families and victims, still ongoing. So, if anyone out there, really wants to even save the animals, perhaps you should include our elderly, the Veterans, the Special Needs etc., in your plight and show just how that the District Attorney,the Stanislaus Co. Family Law / Probate etc. Courts, has allowed and participated in the corruption concerning so many Conservatorship / Trustee and Special Needs cases, of these 2 – protected and corrupt , unfeeling and abusive women, Laurie Jean Jamison P.F.L.# 376 and M. Terry Campbell , unlicensed # 230 . 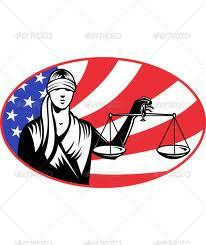 Oh, by the way, by all state laws, a person has to be state licensed, through the Calif. Professional Fiduciary Board and especially if they have 2 – to 3 , OPEN AND ACTIVE CASES. Well they do have many, many open cases. Yet there is another so called Conservatee/ Trustee, that has NEVER, been licensed EVER ! Now the county, the Boards etc., have ALL been notified time and time again, that a woman from Merced, named Joanne Ringstrom, ( Jo anne etc. she spells it different, at different times ) is in the Stan. Case Index files too . She has and has had over 8- plus cases and they will never do a thing to her. If you check this out, she also has and has had with the M. Terry Campbell, many ” questionable open cases and for up to 20 years or more “. By the files to this date., they are still open too and actice. Yet, again, she has NEVEr had a license, since the state law went tinto effect, on 07-01-2008. Make no mistake, we do have the years too, of the printed out index files, the cases, the hearings, the petitions etc., so that ALL of our allegations here, can and will be proven . ( Just in case anyone from the courts do read this and perhaps may want to ” alter and fabricate the files, as sometimes this has happened “. We can prove too, if this is done. This too, falls into the District Attorney’s lap, as it it their department too. So, since the District Attorney, Birgit Fladager, does not seem to ever care about the lives of the elderly, the Veterans and the Special Needs, then perhaps the public needs to be aware , ” that this corruption and injustices, abuses and deaths, can and will, one day, come into their own homes “. At any Family Probate/ Conservatorship, etc., hearing , this can effect the most vunerable and elderly. Please do not be ” blindsided “, as so many of us have been. Once you are in the Stan. Court system, you will have all rights and everything taken from you and your family, ” even your rights to ever tell the court the truth “. Even if it concerns family abuse etc., and you reach out to them for ” help ” . If this happens, then they will then know your name and you WILL, forever be in their clutches. Yes, this is a pattern too, that for years, we have put together. At the top of this too, is the Court Investigator Manager and she approves of and is friends with the 2 crooked Cons. above. Start there ,,,. Perhaps, you may want to advertise, to ask other families, if they have ever had a horrible and bad experience, from the Stanislaus Family / Probate Law Dept.’s ? Give the names of the 2- Conservators to the public. It is legal . You would be shocked, at the victims, that will come forward. We are out of Calif. right now, 2,500 miles away, yet please know, we are many, including families still right there. One case right now, has been in the webs etc. and this case will break the others wide open and for the huge Class Actions. Google the name June Guinn Missing. / June Guinn Found . The family finally found their Mother June Guinn on 06-10-2013 and after 5 plus years of being denied to even know if June Guinn was alive. NOT, by any court order !!! It was the cruel and inhumane decision, of the Laurie Jean Jamison, M. Terry Campbell and the Sheila Guinn, that actually, had June , in her care 24 hours a day, illegally and for years. They have tried to blame other family members for things and this too, is lies and falls under the Rico Statues, still within the timely manners. Also, they have had June Guinn, since 04-04-2008. Meaning that ALL of the ABUSE, has happened , AFTER 04-04-2008 . They do try to blame others and before this date. Make no mistake, these are slanderous remarks and through perjury, lies of theirs. Now, if you pull the sites up, just know, that what we have all uncovered and have the medical reports to prove, June Guinn has had MANY near deaths,. in their care and ALL after 04-04-2008 ! June has had a broken leg, where she layed for 2- days, before they took her to the hospital for medical attention, ( it was also called an Open Fracture of the Fibula / Tibia left leg bone ), she has had a broken right arm, broken right hand, all withering and nerve damage, due to NO medical care, kidney failure, due to a kidney injury etc., taken off of 11 – ” unneeded medications, numerous blood transfusion etc., etc., etc., All in the care of them, all as June Guinn is and has been BEDRIDDEN. Yet at each near death emergency, they lie to the Doctors, then June Guinn is sent back to the private home, @ 1726 Lauralee Court, Modesto, Calif. and into the hidden and locked away, hands and control of Sheila Guinn and Laurie Jamison. No one in that city or county, will ever give the love, protection and the care, to June Guinn . No one can get past the front door, for an immediate Welfare Check, to save June Guinn’s life. Again, we are not saying anything illegal, as we can and will prove, of ALL allegations, medical reports, lies to the doctors etc. So, as you can see, the City and County, do not care about the lives of our elderly, vulnerbale, Veterans and Special Needs, old and young,,,,, so no wonder, they would not ever care about the animals care and neglect either. It is a circle/ web of corruption and they all cover each others backs, in all that they do. So, since you are there and it seems that you have had almost enough, maybe you want to investigate our allegations and the truth here. 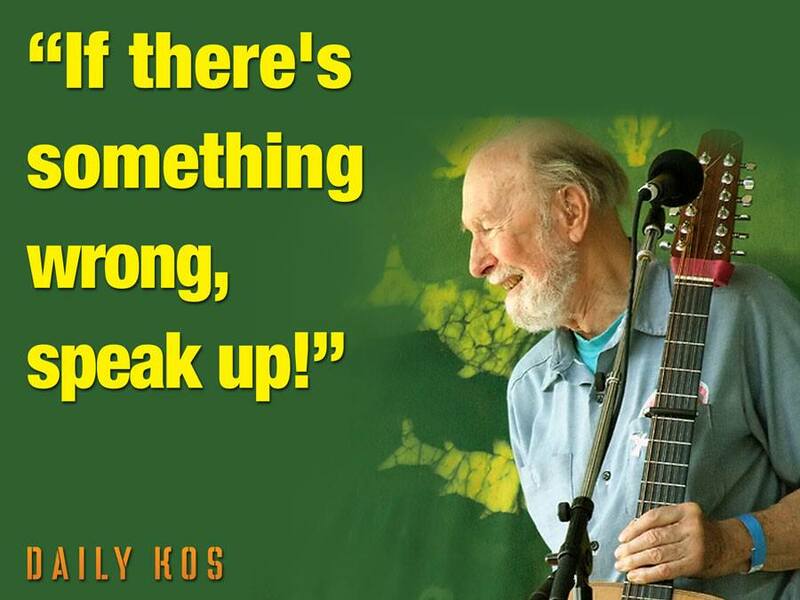 Perhaps, show how the issues are so much alike, in a few ways. It can only help Modesto. We will get Modesto, Californai, back into the Nationwide Media outlets and not for anything good that they have done. How sad. 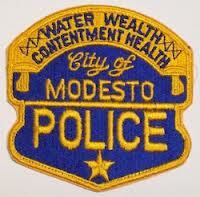 Modesto, only has, the horrible things told about and because, only horrible things can happen there. How sad. June Guinn has been hidden from her family since 2008. Family fears that June may no longer be alive. Stanislaus County Court records (Case Number:387352) show June Guinn was placed under conservatorship on December 12, 2007. The court file lists professional fiduciary Laurie Jamisonas conservator. Family andfriends say Jamison has kept June hidden from her loved ones since April 2, 2008. When a person becomes a conservatee, he or she does not lose the right to visit with friends or family. … Do not isolate the conservatee by keeping friends or family away. 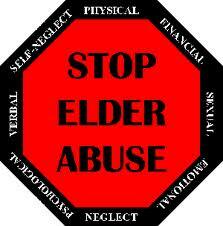 California’s Welfare and Institutions Code § 15610.07(a) defines isolation as elder abuse. Physical abuse, neglect, financial abuse, abandonment, isolation, abduction, or other treatment with resulting physical harm or pain ormental suffering. The U.S. Department of Health and Human Services specifies that HIPPA covers only medical information. HIPPA does not apply to an individual’s location or general condition. Fraud, dishonesty, corruption, willful violation of duty, gross negligence or incompetence in practice, or unprofessional conduct in, or related to, the practice of a professional fiduciary. 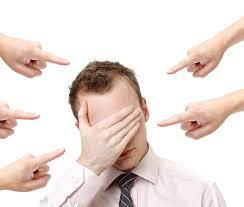 Advocates filed a complaint with the Professional Fiduciaries Board on June 9, 2013.